Hi There. Thanks for taking the time to check out my website. I have recently ventured out into Steadicam after spending the last 10 years as a professional lighting technician specialising predominately in TV dramas and commercials. I know, I know. You are probably asking why? Well the short answer is that I love lighting yet I have always had a deep appreciation for Steadicam. Since the likes of Goodfellas, Children of Men and more recently Baby Driver, I have been obsessed with movement. To me, Steadicam is like dancing. You are forever dancing between actors, props, directors questions and your shadow. You are both in control yet out of control. Constantly moving from one state to another. Over the last 2 years I have done a number of jobs ranging from music promos and short films. Junior Agyeman’s rig is a Steadicam® Shadow V® for Professional Film. Capable of supporting any film or broadcast camera. The Shadow V starts with a 25 to 38 inch (64-97cm) telescopic carbon fibre post coupled to the Ultra2® stage—with patented ± 20º tilt head—and terminating in a new solid base. Outfitted with the Ultra2 Gimbal, 800 nit HD/SDI/SD monitor, dual monitor mounts, frameline generator, and a dual battery mount (12 and 24 volts), the Shadow-V fills the need for a heavy-duty, high-performance rig. Junior uses the G-70x arm that smoothly carries any load from 13 to 70 pounds (5.8 to 32 kg). With the revolutionary, patented Geo spring geometry optimises performance throughout its lifting range that makes even the slowest camera moves ultra smooth. His vest is the Steadicam Fawcett Exovest™. A semi-rigid exoskeletal vest that transfers the weight and torque of supporting a Steadicam system into anatomically appropriate areas, without interfering with natural movement. Compared to conventional vests, the Fawcett Exovest™ is lighter and less constrictive—allowing for better respiration, circulation, transpiration, and movement. 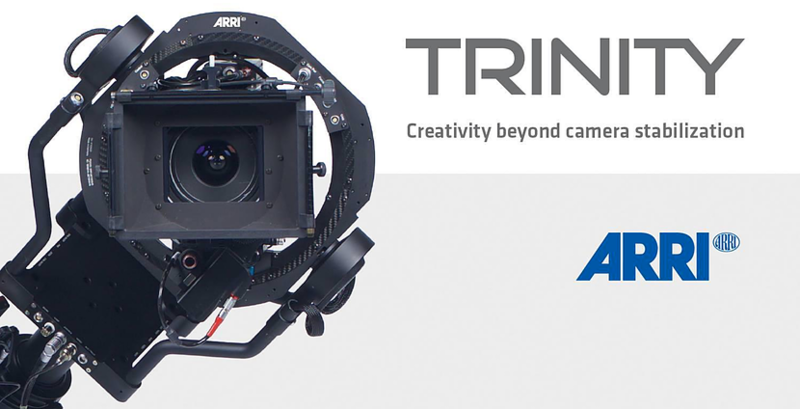 Trained in the new Arri Trinity System. Available on request. Please call for details.